NEW HOME IN CASTLE ROCK ESTATES !! PRICE IMPROVEMENT BY $20K !! 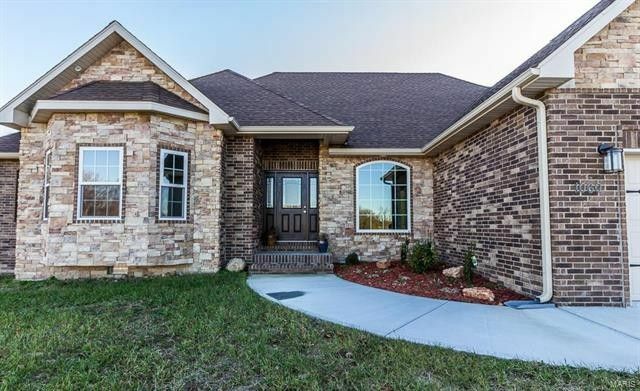 This ALL BRICK and STONE home offers 4-5 Bedrooms or a bonus/game room. 2 1/2 Bathrooms, the 1/2 bath is located off the garage and laundry room This Beautiful Home has hardwood floorings in the entry, kitchen, dining & living areas, carpet in the bedrooms, tile in the baths, custom cabinetry with granite counter tops in kitchen, large center island, A great master suite w/custom walk-in tile shower, a double vanity, walk in closet, free standing tub Large covered front porch and partially covered rear patio! Oversized 3 car garage. This home features the open concept of living and offers the split bedroom floor plan. A Very private rear setting. 2280 sq ft of finished living space. This home is located near shopping and schools with easy access to i-44. Make your appointment today to see this home !! Get moved in before the cold weather and enjoy your new home for the Holidays ! Directions: HWY 32 EAST. TURN RIGHT ON TOWER. TURN LEFT INTO CASTLE ROCK SUBDIVISION. HOME ON RIGHT.